Vancouver, BC – Local researchers have successfully punched above their weight in securing $2.7 million out of $6.2 million available in a recent national funding competition for bioinformatics related research. Massive amounts of data are being generated by genomics research across all life science sectors. The lack of efficient tools and methodologies available to effectively rapidly access, mine and efficiently analyze vast quantities of genomic information and integrate it with other data sets is a major challenge for the research community. 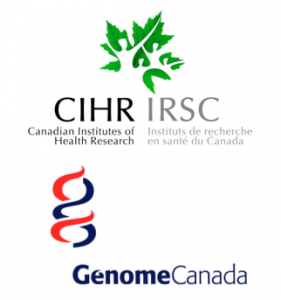 To help meet these needs, Genome Canada, in partnership with the Canadian Institutes of Health Research (CIHR) hosted a national funding competition to fuel the infrastructure required for computational biology. BC-led projects include noteworthy technologies to research microbial public health genomics, computational interpretation for cancer genomics, improved examination and processing times for cancer samples and applied tools for exploratory genomics. The researchers funded hail from the BC Cancer Agency, University of British Columbia (UBC), Simon Fraser University and the UBC Centre for Molecular Medicine & Therapeutics. The research projects will be conducted over a three-year period starting this June. Expected outcomes of the work include improved analytical approaches to the detection of variations and mutations in DNA and RNA related to cancer diagnosis and care, easy-to-use bioinformatics and genomic analytical tools to allow health care workers to better manage communicable diseases and provide quicker responses to infectious disease outbreaks. For more information on the projects please click here for a background document.